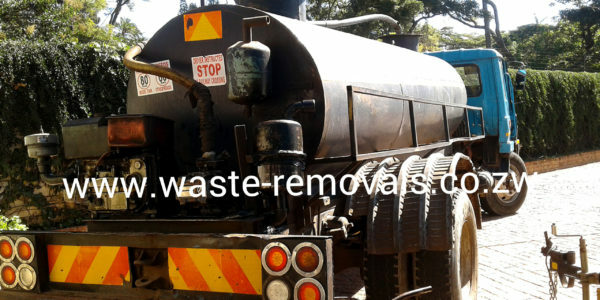 We are a waste removal services, waste disposal and waste management company in Harare and Zimbabwe. 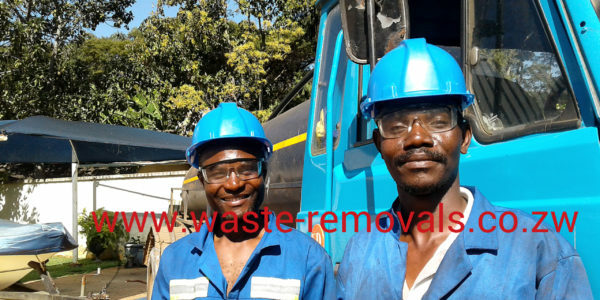 We were established to meet all your waste away requirements and management solutions, from liquid waste removal, blair toilet emptying, honeysucker harare, septic tank emptying to garbage collection in the nation. We understand your waste management challenges better. We also offer septic tank cleaning services and desludging, potholing, car wash pit cleaning and the emptying of oil separators.We strive to meet all your requirements and needs at any time all year round and also in waste emergencies. We support the City of Harare Waste Management Department in solving to waste headaches and at an affordable and competitive price too. 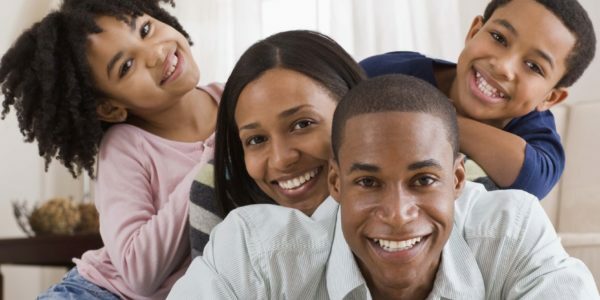 Our experience and dedication in striving to achieve a clean and disease free environment is unequaled in Harare and Zimbabwe. We have a well trained, motivated, committed, courteous and swift team that can attend to your problem within the shortest time possible. Waste removal services needs have never been needed in Harare and Zimbabwe like now. We want to work hand in hand with the you and council in the fields of waste removal, waste collection, skip supply, small scale refuse collection and recycling. We offer Affordable and Competitive Rates for Waste removal services. Our charges are reasonable and mutually benefiting. Our team is ready to meet your needs at any time that is convenient to you, even in emergencies. Powerful vacuum vehicles (colloquially known as honey suckers) for maximum productivity. With years of experience you can rely on the skilful team here at WRS to provide professional septic tank emptying, cleaning and maintenance. Usually it is recommended that septic tanks are emptied at least once a year but, depending on the type of system and the amount of water being treated, it may require emptying more often. Schedule today for affordable & efficient waste removal services, waste away & waste collection needs in Harare.